The recent death of author and Nobel laureate Elie Wiesel reminds us that we are living at a time when the survivors of the Holocaust are becoming fewer. The eyewitnesses to the horrors of the Nazi extermination program have done all they can do to entrust the memory and the responsibility of what happened to the next generations. How will we handle this awesome responsibility? We at Jerusalem Perspective would like our readers to be aware of an excellent resource for studying biblical geography: the Satellite Bible Atlas video commentary series on YouTube. The videos explore the physical settings of biblical narratives, helping viewers to understand how the lay of the land shaped and informed biblical events. The satellite images and aerial photographs featured in the videos afford a bird’s-eye view of Bible lands with a precision and accuracy no ordinary map can provide. 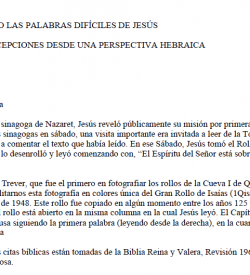 Jacob ben Aaron ben Shelamah was the Samaritan high priest from 1861 until his death in 1916. Jacob ben Aaron was not only the spiritual leader of his people, he also represented the Samaritans to Western scholars who, in the late nineteenth century, had begun to take an interest in the history and customs of the Samaritan people. The baptism of Cornelius, a Roman centurion, provoked controversy among the Jewish followers of Jesus. In this video Marc Turnage examines the figure of Cornelius, his role in the Book of Acts, and his place in first-century Jewish society. 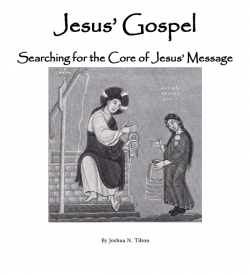 Begin learning about the academic study of Jesus’ life and teachings (or enjoy a refresher course) by “sitting in” on “Windows on Jesus,” Halvor Ronning’s fifteen-part lecture series on the Synoptic Gospels and the Synoptic Problem. 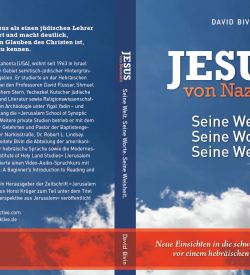 On the occasion of what would have been Prof. David Flusser’s 98th birthday (Sept. 15), we are pleased to share footage of an interview with Flusser on the historical Jesus that has recently come to light. 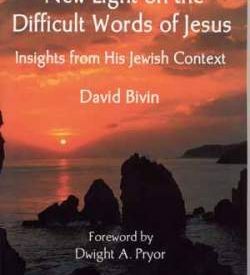 The interview was conducted by Dr. Roy Blizzard as part of a television series entitled The Quest: In Search of the Jewish Jesus. 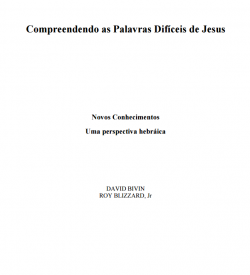 In the interview Flusser discusses the language of Jesus, the importance of studying ancient Judaism of the Second Temple period for the understanding of Jesus’ message, and Jesus’ high self-awareness. The ancient Jewish sage Rabban Gamliel is mentioned not only in rabbinic literature, but also twice in the New Testament. Marc Turnage introduces us to this important figure in the history of Judaism and Christianity. 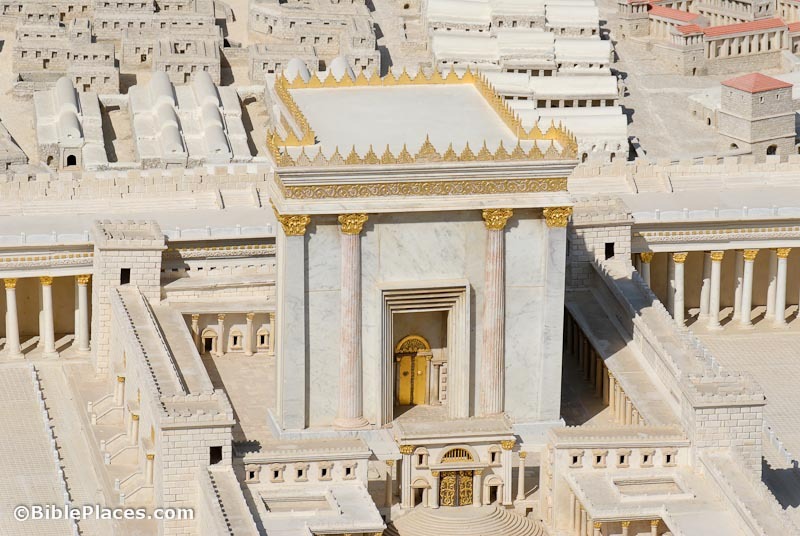 Many of the photographs on Jerusalem Perspective come from the collections of BiblePlaces.com. 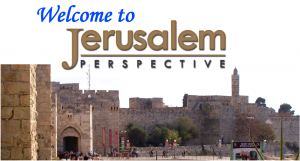 Founded by Todd Bolen in 2001, BiblePlaces.com provides photographic resources for studying and teaching biblical history, geography and archaeology. In Lesson One of The Messianic Consciousness of Jesus series, Dr. Robert L. Lindsey examines the story of the youthful Jesus asking and answering questions in the Temple. Helpless pawn or ruthless villain? The Roman prefect of Judea, Pontius Pilate, is famous because of his role in the New Testament Gospels. Pilate’s name is even mentioned in ancient Christian creeds. Yet in many Christian retellings of the story of Jesus’ crucifixion Pilate’s role is often portrayed incorrectly. In this video Marc Turnage reexamines Pilate’s character based on ancient literary sources, including the New Testament, and archaeological finds. In doing so, Turnage offers a new take on a familiar character. The high priest Joseph Caiaphas is known not only from the New Testament Gospels as the high priest who opposed Jesus and his early followers, but also from Josephus the Jewish historian who lived in the first century C.E. In this video Marc Turnage provides an historical sketch of this pivotal character. In this video Marc Turnage discusses the significance of stoneware vessels for understanding the cultural context of the Gospels. Marc Turnage, a member of the Jerusalem School of Synoptic Research, is the director of the Center for Holy Lands Studies for The General Council of the Assemblies of God in Springfield, Missouri. Learn more about Turnage and his work at his blog The Shard and the Scroll at www.theshardandthescroll.com. From May 29-June 2, 2015, the Narkis Street Congregation in Jerusalem held a conference that celebrated Robert Lindsey’s legacy as pastor, scholar and passionate disciple of Jesus. Now we are pleased to share with you recordings of the conference, so that anyone who was not able to attend can share the experience and everyone who was able to attend can go back over the wealth of knowledge that was shared by the lecturers. This documentary, which was filmed in 1975, offers a rare glimpse into the life and work of Dr. Robert L. Lindsey. In this video Marc Turnage demonstrates what ancient oil lamps can teach us about Jewish culture in the Galilee and Judea in the time of Jesus. In this video Marc Turnage discusses what we can learn about first-century Jewish history by studying ancient coins.